The timeline shows the consolidated net income of NHN Corporation in the period from the fourth quarter of 2011 to the second quarter of 2013. 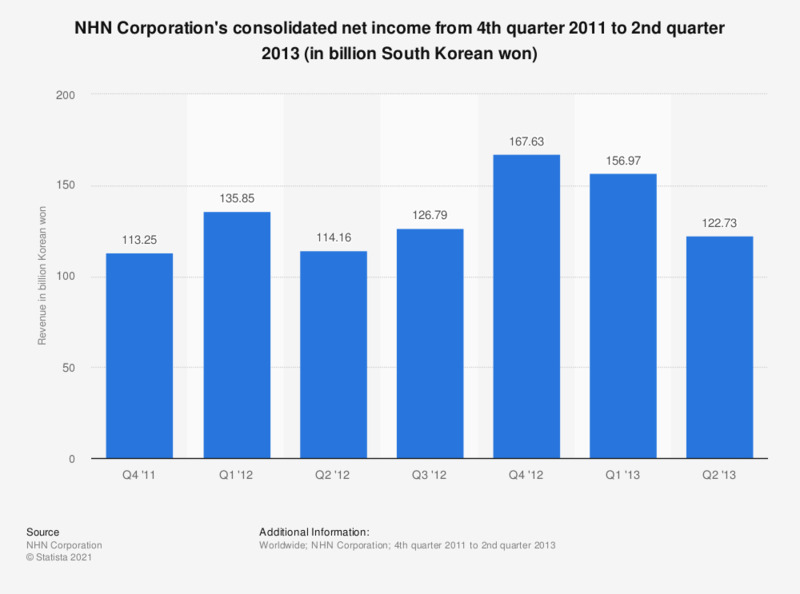 In the second quarter of 2013, NHN Corp's net income amounted to 122.73 billion Korean won. As of August 2013, NHN Corp restructured as Naver. Figures have been rounded. NHN changed its name to NAVER Corporation as it spun off its hangame division as of August 1, 2013.